Hello Lovelies! Today's Video is not just any video, I've got PINK HAIR again <3 But I haven't used my usual Chalk nope, In fact it's DIP DYE Hair Extensions by ClipHair! All of you have been loving my Hair Tutorials so This is one I have been loving this summer, it's easy and with pink ombre effect it just looks gorgeous! 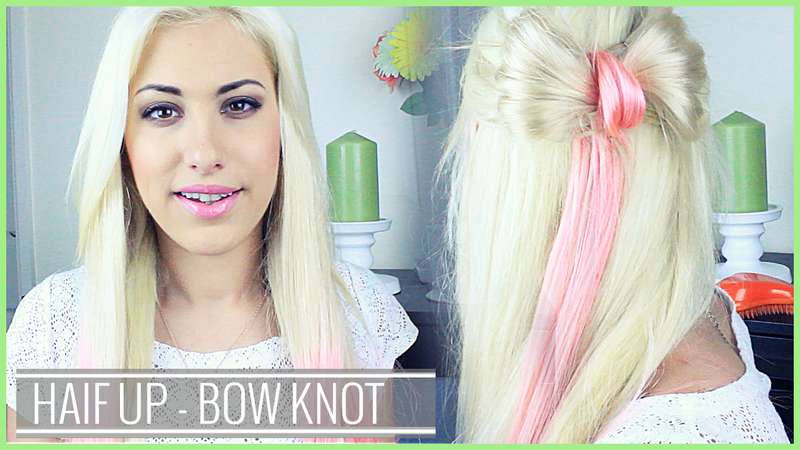 Follow all the steps and you'll get this perfect half-up bow knot hair tutorial. It was such a fun video to film and look forward to more hair tutorials cause I have a lot coming your way very soon! Make sure you head on over and LIKE & Subscribe too! Do you wear Hair Extensions? Share and let me know in the comments below.